Not Valid with other offesr or discounts. Please Present This Offer At Time Of Service To Receive Discount. Must present coupon at time of purchase. Not Valid with any other offer or discount. One coupon per visit. For a limited time only. 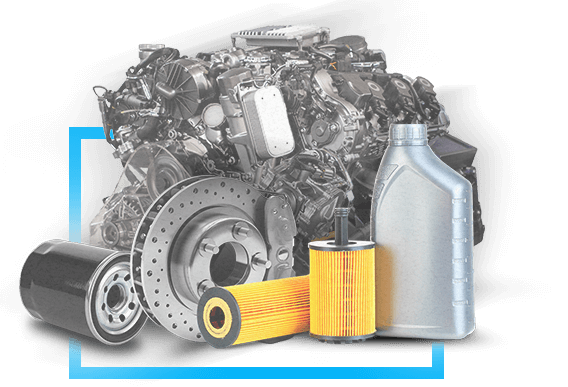 Our quality ASE (Automotive Service Excellence) certified mechanics at Leroy's Auto & Truck Care employ today’s latest automotive technology and are equipped to handle all major and minor auto repair services on foreign and domestic vehicles. Leroy's Auto & Truck Care is a certified NAPA AutoCare Center. Our Warranty Covers parts and labor on qualifying repairs and services for 36 months/ 36,000 miles. The NAPA AutoCare Peace of Mind Warranty. For NAPA Easy Pay financing. Providing quality car care in Peoria, AZ, since 2016, Leroy's Auto & Truck Care Auto Service is a family-owned business delivering honest and professional automotive repair and maintenance services to the people of Peoria and surrounding areas. The quality ASE (automotive service excellence) certified technicians at Leroy's Auto & Truck Care Auto Service employ today’s latest automotive technology and are equipped to handle all major and minor repairs on foreign and domestic vehicles. We understand that your vehicle is a major investment, so we care for each customer’s vehicle as though it were our own. Please be sure to go to our Shop Specials section for our current promotions and specials. Come by and visit our clean and professional shop in Peoria, AZ. From the woman who answered the phone and made my appointment to the gentleman who checked me in and served as my service advisor, everyone at Leroy's offered excellent service. My service was completed efficiently and I was able to access wifi and work for the 75 minutes I spent in the clean, comfortable waiting area. I received a full vehicle checkup and my service was done at a competitive price. This was my first visit to Leroy's. My mother has used the shop for the past year, and I can see why. I'll go to Leroy's for all of my service needs and will refer all of my friends and family. Thanks for a job well done! I bring all of my cars to Leroy's- exceptional customer service, quality work, quick repair times very friendly and knowledgeable. Have tried testing there knowledge multiple times and they have prevailed every single time. I tell everyone I know to take there vehicles here. If your looking for a local auto repair shop that is willing to tackle anything you bring them and get it done professionally this is the place for you. good customer service, very knowledgeable with the Duramax and Allison transmissions. Highly recommend the shop. I found Leroy's by way of a mailer. Having only gone to "the dealership", except for 3 times recently, in 21 years with my 1995 Toyota Tacoma...I am extraordinarily impressed and happy with the service, specifically, that I received from everyone at Leroy's. Troy, the owner is very sincere, and was so helpful in explaining the work, pricing, you name it. Troy really sets a great tone of respectfulness thru out and truly made me feel welcome. I have really taken care of my vehicle over the years, and was nervous about trying "any" 'non-dealership' service option....but, not anymore, thanks in large part to Troy and the entire team at Leroy's. I will be back, and honestly cannot recommend them highly enough. The pricing was fair, the work, outstanding, and the environment welcoming and completely professional. Stop by and see them at Leroy's...I believe you'll be very happy you did. Fantastic overall experience! Thank you Troy, and 'everyone' at Leroy's! The service we've gotten at Leroy's has been exceptional. Troy gives great customer service. When we've taken cars in for service he explains exactly what's going on so you understand. He also saved the parts so he can show you what happened. I would most definitely recommend Troy and Leroy Auto & Truck Care to everybody. I've been visiting Leroy's for just over a year now...and couldn't be happier! Had new shocks put on a few months ago, alternator recently, and fluids changed before that....and yesterday..."Rack & Pinion"...WOW! My 95 Tacoma is driving so nice (-: The entire staff at Leroy's is awesome, and I believe that is due to the 'tone' set by "Troy". Friendly, sincere....fair & honest! Not just a cliche...but, absolutely true!!!!!!!!!! I feel so fortunate to have "the Leroy's team" taking care of my truck...and, to be so convenient...nearly too good to be true...but, it's not...bottom line, I cannot recommend "Leroy's" enough...take care of your vehicle, and Leroy's will too! Thanks Troy, and to the entire team at Leroy's! Best place to get serviced! I bring both of my vehicles here. Every time I make an appointment they get me in right on time and out when they say! If you're looking for great service; Leroy's is the place. Great company, Great friendly helpful people! I highly recommend Leroy' s Auto and Truck Care! I do use and will continue to use them for all my automotive needs! Thanks Leroy's!! Very friendly and knowledgeable staff. They did a full vehicle inspection which helped prevent future issues with my vehicle. Service was fast. Will definitely be back for my next oil change. One of the best shops I have ever dealt with did excellent work they have worked on 2 jobs for me 8 injectors on 2001 Deramax. And transmission services on 2002 Mazda mx 5. Great work and reasonable price and excellent warranty if need but I dout that will be needed. Wonderful service, they went above and beyond. I would highly recommend them. They are professional and knowledgeable. I have 3 cars that I now bring here for repairs. Neighborhood place, friendly people, and work done right. Biggest thing, they don’t upsell you on repairs! Honest!